In a world of Toyota vehicles, how do you just pick one? Or better yet, how do you select the model that’s right for your driving needs? 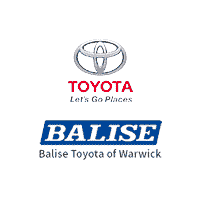 At Balise Toyota of Warwick, we’re here to help our Warwick, Providence, and Pawtucket customers choose the new Toyota that’s going to enhance their driving experience. So if you need help deciding, remember we’re here to help you as well! Our Balise consultants know a plethora of information about each new Toyota. All you have to do is tell us a little more about your driving habits. Are you going to be driving long distances or just need a daily commuter? If you’re not going to be traveling far distances, maybe a lease would work out in your favor. Do you have a family or are you just graduating college? These are just some of the factors we consider when helping our North Kingstown, Coventry and Cranston drivers. From the 2018 Toyota Corolla to the 2018 Toyota Tundra, we’re bound to have something to meet all your needs. If we don’t, please let us know so we can help you find it! Contact us when you’re ready to begin your new Toyota vehicle search.